TCOM aerostat systems are soldiers of the skies, providing affordable persistent surveillance to U.S. military and homeland security forces. TCOM tasked Borenstein Group with a digital rebrand. The outcome: an award-winning website and strategic PR that helped TCOM achieve record growth. TCOM is the global authority in airborne persistent surveillance solutions. For over 40 years, TCOM innovations have continued to revolutionize the design, manufacture and deployment of LTA systems. 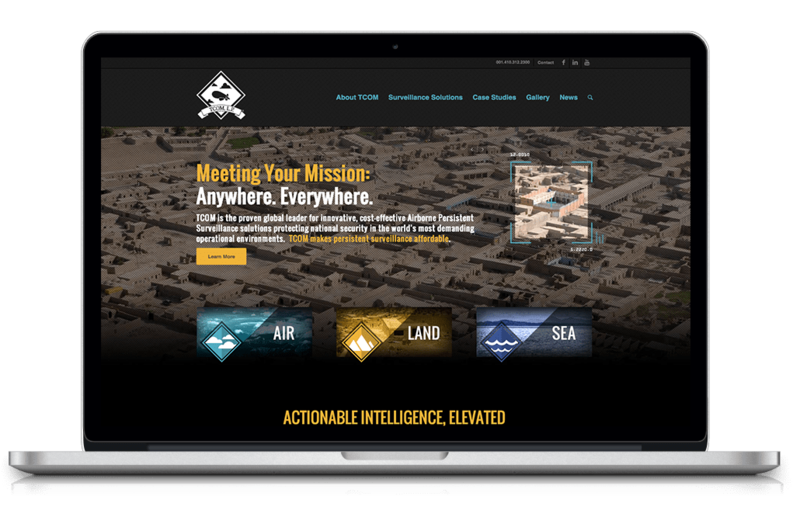 In order to earn new business in the increasingly competitive unmanned aerial surveillance market, TCOM turned to trusted partner Borenstein Group to undertake a comprehensive rebranding effort, including internal messaging, new website design, production of capabilities videos, design of collateral pieces and trade show materials. Borenstein Group marketing strategists conducted intensive interviews with TCOM management, engineers and in-house marketing team in order to first identify and articulate TCOM’s key strengths and value proposition. Once the core principles were identified, Borenstein creative team developed concise messaging to convey the value strategically to target audiences. Borenstein Group designed and developed a revolutionary new website which features the latest advancements in user interface and user experience. The new site incorporates animation and motion to literally put users in the perspective of an elevated aerostat. The Borenstein creative team worked closely with TCOM subject matter experts to write, shoot, direct and produce a compelling capabilities overview video, along with several additional vertical capabilities videos to present TCOM products and abilities in an engaging and action-oriented manner. In addition, Borenstein Group design team created impactful, modern collateral pieces including case studies, sell sheets, capabilities documents and trade show materials that added consistency and coherence to the overall brand presentation. Borenstein Group’s rebranding effort ushered in a new era of success for TCOM. Currently, TCOM’s aerostat-based persistent surveillance systems are in demand to a greater degree than at any time in the company’s 40 year history. 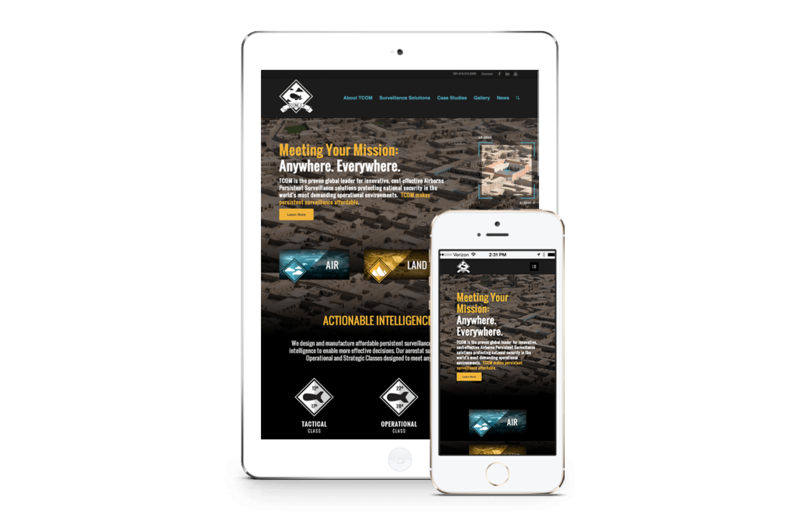 The new TCOM website has earned intense interest and praise throughout the defense aerospace industry for its use of interactive design, its clean and informative presentation and its use of compelling video as an user engagement tool. Overall, the TCOM-Borenstein partnership resulted in TCOM experiencing immediate business impact and substantial growth in the market space.